Best Buddies provides an opportunity for college students to be matched in a one-to-one friendship with individuals who have intellectual disabilities. College chapters are active on 298 campuses worldwide. BSC Best Buddies meets once a month on campus to have fun, organize outings, learn, have fun, network, eat, have fun, raise money and have fun! The Center for Excellence in Urban and Rural Education (CEURE) was established to proactively meet the needs of disadvantaged students and their schools in urban and impacted rural areas. CEURE's mission is to close the student achievement gap, revitalize impacted schools to facilitate teacher retention, and provide qualified, effective teachers for every classroom that needs one. To this end, CEURE has initiated ongoing efforts to shape culturally responsive education strategies that benefit students in Western New York's city and rural schools. The Western New York Regional Center for Innovation in Clinically Rich Teacher Preparation through Professional Schools project is one of three SUNY Centers for Innovation in Education, which serves as a way of gathering university and P-12 faculty and administrators to work together to strengthen teacher and leader preparation by supporting current teachers and leaders as well as renewing practice for preparing new teachers and leaders. The Council for Exceptional Children is an international organization that promotes the education of students with disabilities and those with gifts/talents. Buffalo State's CEC Student Chapter 117 provides members with professional development to stand out during field placements and student teaching, as well as in future careers. Students engage in community volunteer activities and take part in events such as Polar Plunge. CEC is very active and always looking for new members. Club HoLA - Hour of Latino Awareness - is a Spanish language and Latino culture club focused on helping teacher candidates explore language learning as they experience language learning themselves. Participants meet once a week develop their "Spanish ears" and become familiar with Latino children’s literature. It is open to all students, staff, and faculty. Club HoLA is part of the Global Book Project, which promotes family literacy and global understanding for students and community members. The Community Academic Center (CAC) coordinates and provides cradle-to-career educational support programming for youth and families on Buffalo’s West Side. Programming is developed and designed in collaboration with campus and community partners. Activities and offerings range from outside of school time enrichment to instruction for newcomer refugee youth and parents. The CAC is jointly operated by the Center for Excellence in Rural and Urban Education and the Volunteer and Service-Learning Center and is located at 214 Grant Street. The Global Book Hour (GBH) provides weekly book-hour sessions that integrate geography, music, visual arts, and healthy eating. Teacher candidates facilitate the program with read-alouds and reading strategies and activities for families. GBH is part of the School of Education's Global Literacy initiative, which promotes family literacy and global understanding for students and community members. The School of Education is committed to developing and supporting global opportunities - local, national, and international - to provide teacher candidates with experiences that prepare them to thrive as globally-minded educators who meet the needs of today's children and classrooms. Current international collaborations have been developed in Chile, China, the Dominican Republic, England, Germany, Honduras, Italy, Rwanda, and Zambia. The Journal of Inquiry and Action in Education (JIAE) is a peer-reviewed online journal seeking to highlight collaborative research undertaken by university faculty and partner school teachers. The School of Education Literacy Center offers diagnosis and tutoring for K-12 students who need help with literacy skills. Tutors in the program are graduate students completing their Literacy Specialist certification and/or master’s degree in education, and work under the guidance of experts in the reading field. Buffalo State serves as a regional host campus for New York State’s Master Teachers Program, which rewards the state’s highest performing teachers, ensures that the best and brightest stay in education, and encourages the state’s best teachers to share their expertise with peers. Master Teachers engage in peer mentoring, attend and create intensive content-oriented professional development opportunities throughout the academic year, and work closely with preservice and early-career fellows in their regions to develop future world-class educators. The Professional Development School (PDS) Partnership between the Department of Elementary Education and Reading at Buffalo State College and participating schools is a collaborative effort. The partnership is dedicated to college faculty, school administrators, and practicing teachers exploring effective practices to (1) cooperatively supervise preservice teachers and provide closer connections to classroom practice; (2) promote professional development for inservice teachers; (3) improve student learning; and (4) research the problems of educational practice. The New York State Response to Intervention Technical Assistance Center (NYS RtI TAC) is a consortium between Buffalo State, Rochester Institute of Technology, New York University, College of St. Rose, Syracuse University, and Mid-Hudson Region. It's mission is to support capacity-building efforts of NYS schools to implement proven and promising practices within a Response to Intervention model. The Center compiles and disseminates information and resources and provides technical assistance and professional development to schools. Email Theresa Janczak.  Under the tutelage of Buffalo State faculty and staff, service learning initiatives have been available for many years in the West Side Community. The West Side of Buffalo offers teacher candidates a positive outreach into the international community and insights into our global world! TLE TeachLivE™ is a computer-simulated, immersive, mixed-reality classroom that provides teachers the opportunity to develop their pedagogical practice in a safe environment that doesn’t place real students at risk. Teachers step into TeachLivE™ virtual classroom and experience immersion and suspension of disbelief, allowing them to rehearse high-leverage teaching practices related to student achievement. Buffalo State is the only college in the SUNY system currently using this unique mixed reality environment to prepare or retrain pre-service and in-service teachers. Multiple opportunities are available for students, staff, and faculty to engage Pk-12 students through one-on-one tutoring in schools throughout Buffalo and Western New York. In 2002, Buffalo State received a $1 million gift from Eleanore Woods Beals, a 1950 graduate, and her husband, Vaughn Beals, which was used to establish the first endowed chair in the 130-year history of the institution. Jevon Hunter, has developed several iniatives as the endowed chair - Urban Youth Scholars, Student Research, Urban Teacher Collaborative, and Urban Education Speaker Series.